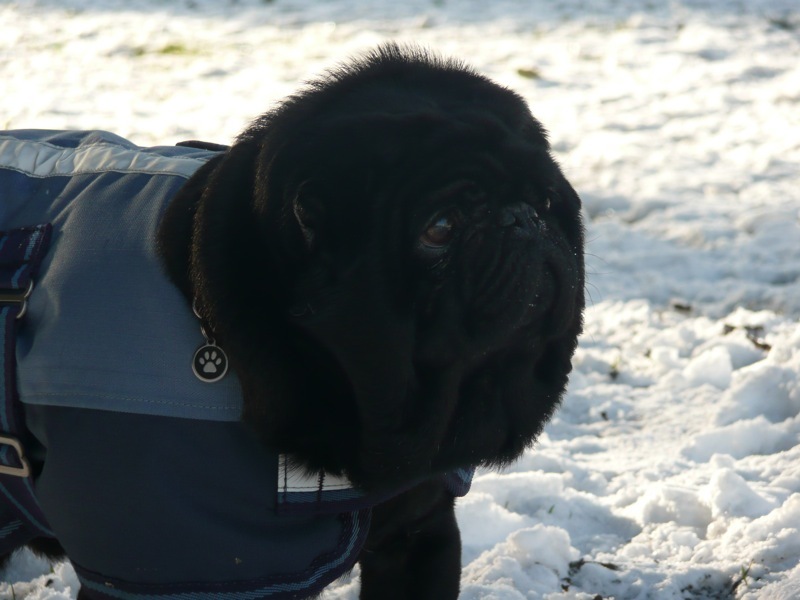 A fluffy black pug in a warm jacket. Extra tired black pug puppy taking a nap in the food bowl! 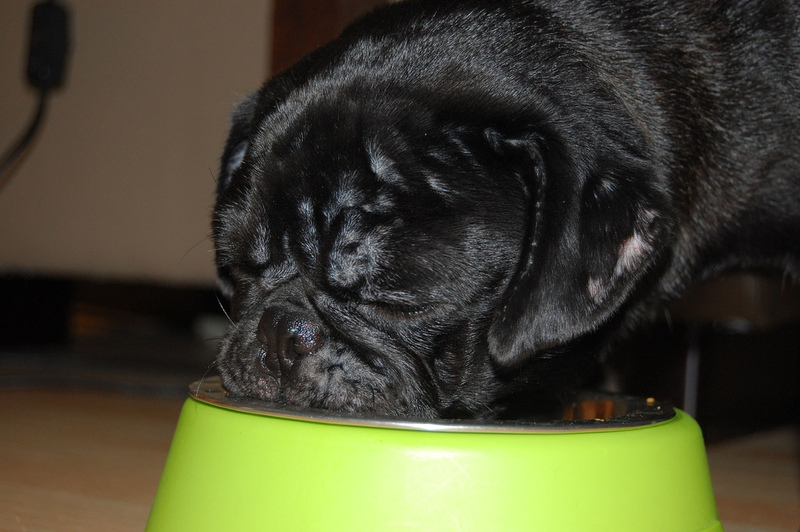 This cute pug must be so exhausted to have fallen asleep on the food bowl! Two sleepy (& cute!) 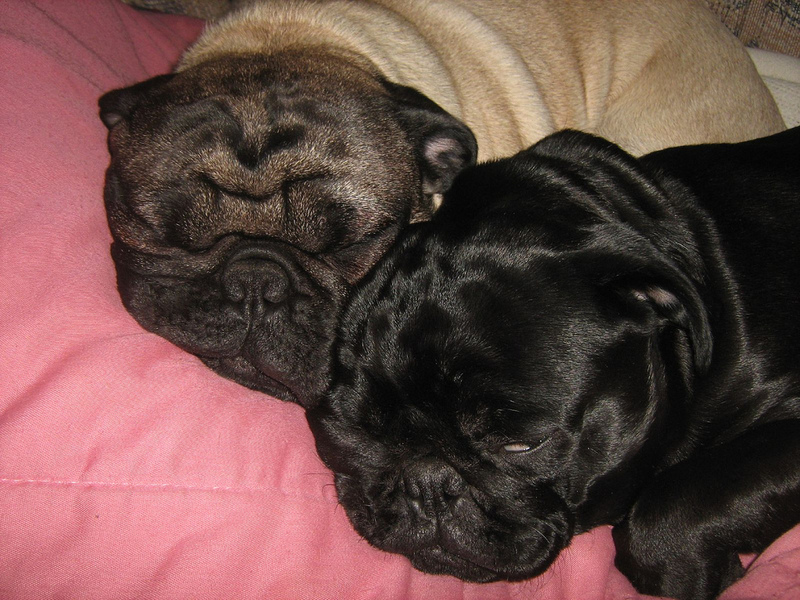 fawn and black pug puppies. 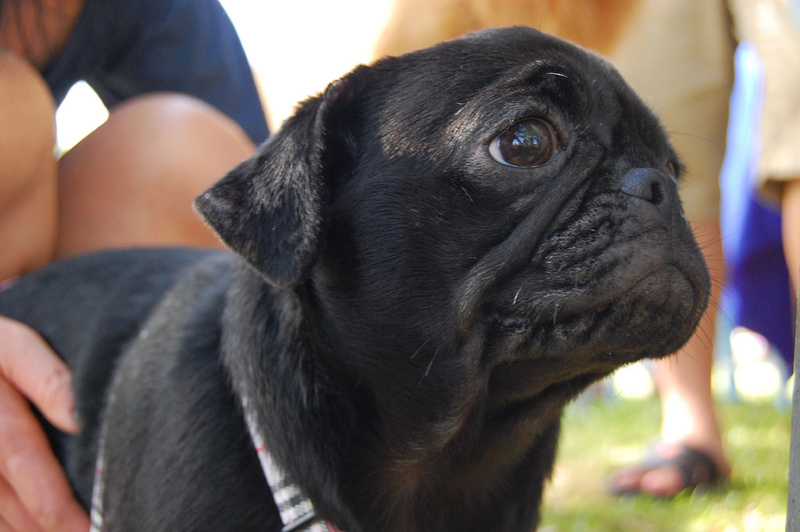 This black pug puppy is just SO cute! Brrr it is chilly for a cute pug out there! Brrr it is chilly for a cute pug out there. 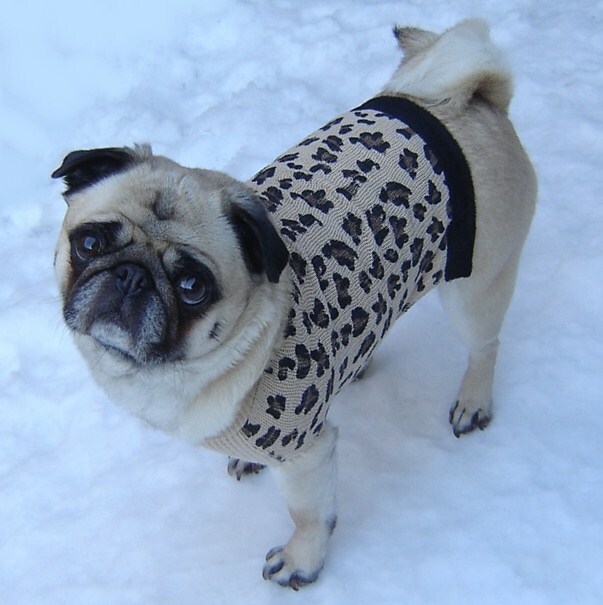 Fortunately, this pug has a cozy sweater! This cute pug would like to play! 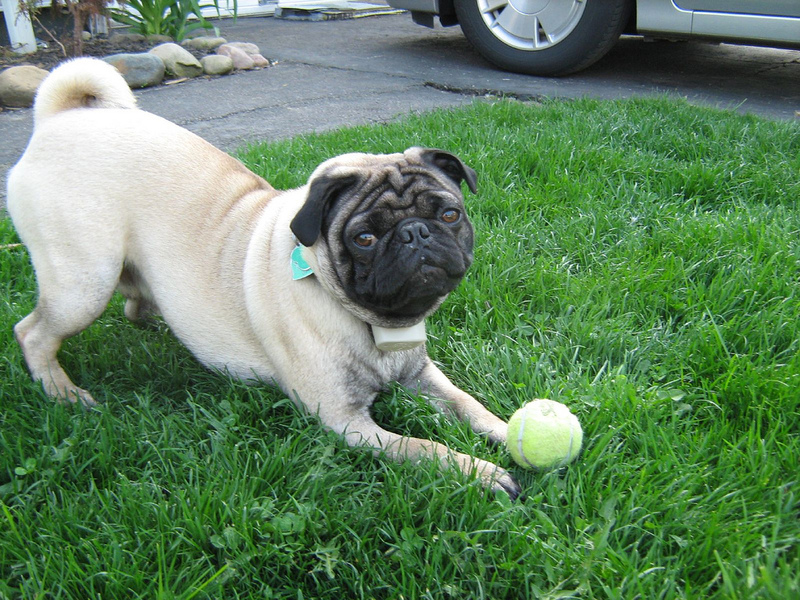 Darling pug would like to play with the tennis ball. Maybe a quick round of fetch? 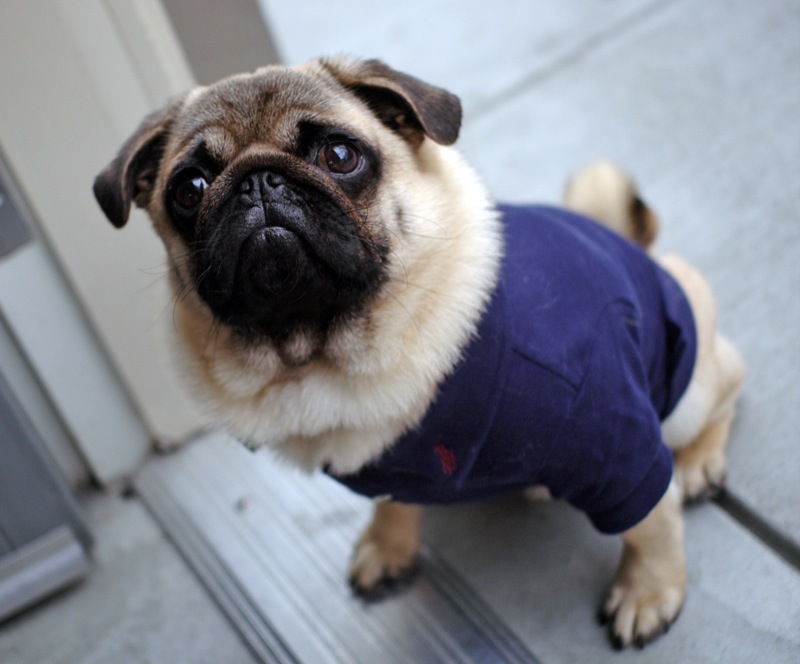 The shirt really fits this adorable pug well! 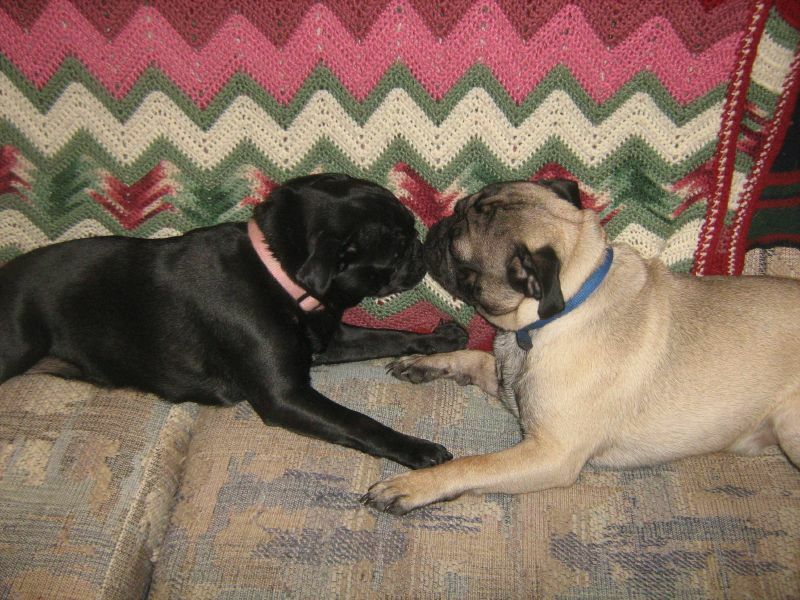 Quite an adorable pug pair! This cute pug is NOT giving up his teddy bear! 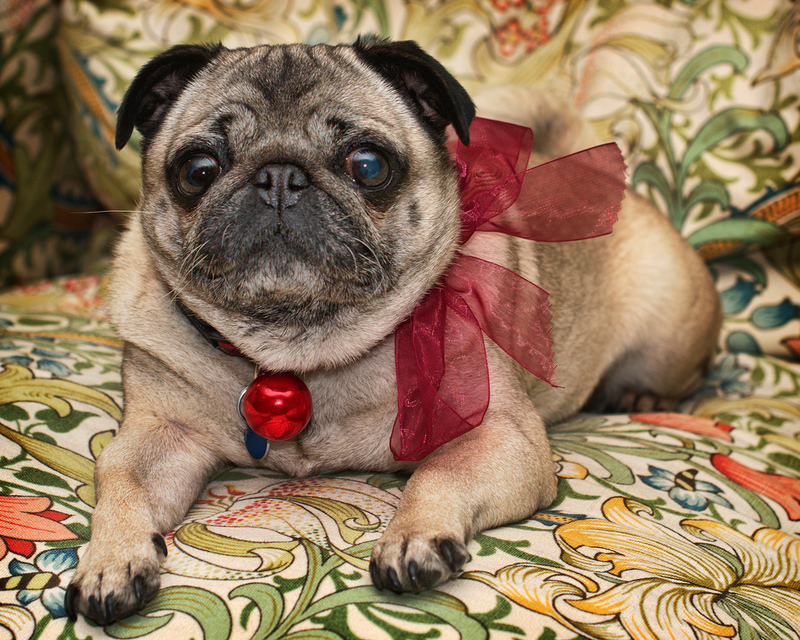 It turns out that pugs like stuffed animals of all kinds! 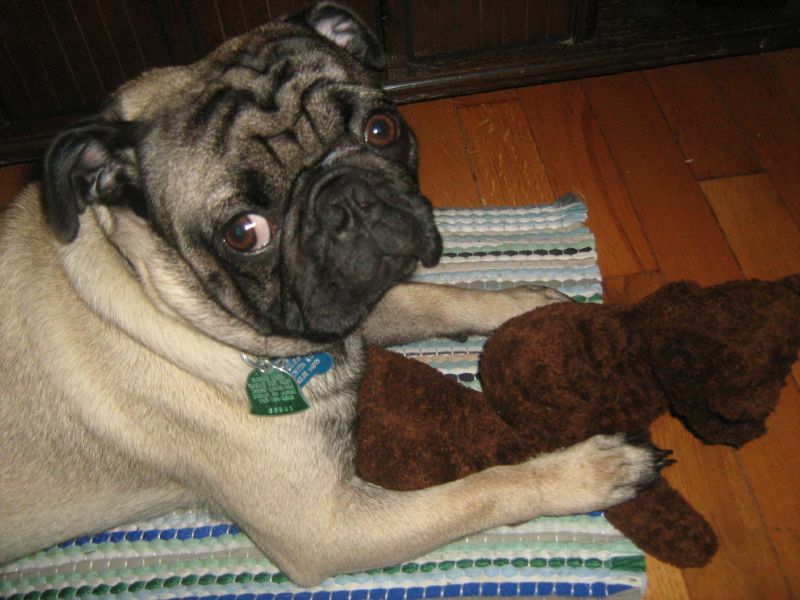 What is your pug’s favorite stuffed friend?